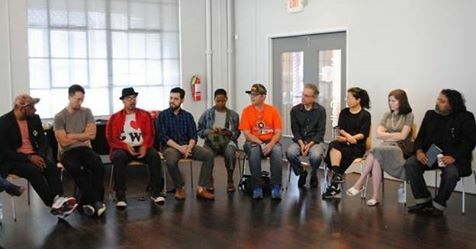 Mayor Turner announced the first 26 winners of the newly launched grant program Support for Artists and Creative Individuals. I am excited to announce that I am one of 26 visual artists, musicians, writers, filmmakers and dancers awarded the newly created Support for Artists and Creative Individuals (SACI) Grant. I will be working with composer Joel Love to create a light and sound installation based on the evolution of the Christmas holiday season through one’s lifetime. We are using programmable LED Christmas lights and familiar Christmas instrumentation in new and unique ways that we can’t wait to share with you this holiday season thanks to Houston Arts Alliance and the City of Houston. Contact me through this website’s contact form if you would like to be added to the newsletter and kept up to date on the progress of this project when it is exhibited.